We are committed to transparency and accountability of the financial support entrusted to us. Through program evaluation, internal communication, and board governance, we strive for maximum impact of our programs on the ground. 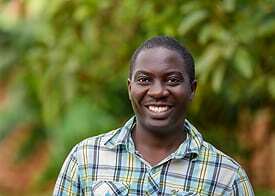 In 2015, Henry Tumwesigye founded BOHAM together with his colleague Katie Walter. Henry brings years of experience working with kids of all ages and backgrounds. Prior to BOHAM, Henry worked with Ambassadors of Hope, African Children’s Choir, and Asante Ministries. Henry was raised and educated by African Children’s Choir. He joined ACC’s sponsorship program after losing both of his parents at four years old. Growing up in similar circumstances, Henry always had a passion for helping the poor, the orphan, and street children. It was this passion that led him, along with his colleagues in the United States and Uganda, to establish BOHAM. Henry holds a Diploma in Journalism from Uganda Institute of Business and Media Studies. In his spare time, Henry enjoys listening to music, watching soccer, reading the Bible, and eating lots of powdered donuts. Donut donations are always welcome! In 2015, Katie Walter founded BOHAM together with her colleague Henry Tumwesigye. Katie brings years of nonprofit experience to BOHAM as well as a passion for supporting children and communities in need. 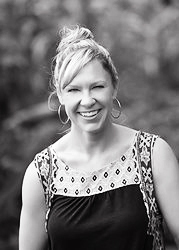 Prior to BOHAM, she served at-risk communities in Uganda, Rwanda, Burundi, and New York City through Asante Ministries and Hope for New York respectively. She also worked as a consultant on gender-based violence issues for UNICEF, the Ministry of Gender & Development, Government of Liberia, and the Kofi Annan Institute of Conflict Transformation, University of Liberia. Katie holds a M.S. in Global Affairs from New York University, a M.S. in Marketing Management from Ecole des Hautes Etudes Commercials du Nord Business School, and a B.A. in Business & Economics and Communication Studies from Westmont College. In her spare time, she enjoys traveling, dancing, and reading the New York Times. 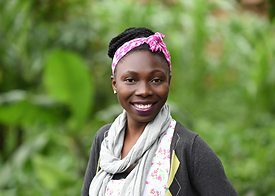 In 2015, Lydia Namagembe joined BOHAM as its Director of Child Development and Human Resources. As a trained social worker, Lydia brings extensive knowledge and experience to the children and families we serve. Lydia was raised and educated by the African Children’s Choir. She joined ACC’s sponsorship organization after losing her parents as a young child. Growing up in similar circumstances, Lydia was always motivated to give back. It also gave her a love for children and helping families in need. Prior to BOHAM, she worked for African Children’s Choir, Music for Life Primary School, The United Methodist Church, Children’s Welfare Mission, Clear Media, and Asante Ministries. 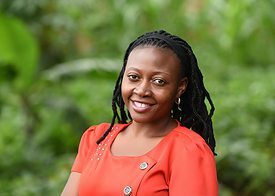 Lydia holds a Diploma in Social Work & Social Administration from Nsamizi Training Institute of Social Development Uganda. In her spare time, she likes singing and playing board games. In 2015, Kenneth Kisegerwa joined BOHAM as its Director of Finance and Operations. Kenneth brings years of nongovernmental and private sector experience to BOHAM. Prior to BOHAM, he worked as a Music Manager for Life Centers and also co-founded and ran Eyeeza Enterprise, an IT company. 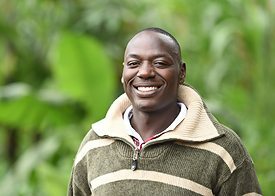 As a child, Kenneth grew up in a poor family with five other siblings and because of sponsorship, he was able to receive a good education. This upbringing gave him a strong desire to give back to other suffering communities in Uganda. Kenneth holds a Diploma in Business Administration and Project Management from the South African Institute of Management. In his spare time, he enjoys swimming and watching movies. In 2015, James Kaggwa joined BOHAM as its Director of Marketing and Communication and in 2017 became its first Choir Director. James brings years of experience in public relations and music to the organization. Prior to BOHAM, James worked as Music director and Choir Trainer for Makerere Full Gospel Church and Imani Children’s Choir respectively, as a social worker for Africa Renewal Ministries, and as Marketing Director for Alley Rout Factory. At three months old, James was abandoned by his mother and at seven, James’s father died during the Idi Amin Civil War. James then grew up in an orphanage and received an education in social work through Ambassadors of Hope’s sponsorship program. He later traveled as a performer and chaperone with the African Children’s Choir. James has always been passionate about giving back for all that he freely received. After James and his wife Lillian were married, they took in a child and later had three more children. In his spare time, he loves telling jokes, playing instruments of all kinds, watching movies, and spending time with his family. In 2015, Angella Tushemereirwe joined BOHAM as its Sponsorship Coordinator and Bible Club teacher. As a trained educator, Angella brings years of teaching experience to the children and families we serve. As a young child, Angella was taken in by African Children’s Choir after losing both of her parents. She was then raised and educated by the African Children’s Choir until she became an adult. Growing up in similar circumstances, Angella has always had a passion for loving kids and assuring them that they could make it in life despite their circumstances. Prior to BOHAM, she worked for the YMCA and Asante Ministries. Angella has a Diploma in Education from the YMCA, Kampala Branch. In her spare time, she likes to cook, make crafts, and listen to Christian music. 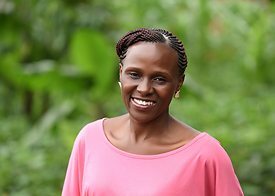 In 2016, Hilda Namukasa joined BOHAM as its Sponsorship Coordinator and Bible Club teacher. As a trained educator, Hilda brings years of teaching experience to the children we serve. She also grew up as an orphan, which has helped her uniquely understand the needs of many of our children. Hilda notes that by putting herself in the “children’s shoes,” she is able to bring them up in love. Prior to BOHAM, Hilda worked as a teacher for Brilliant Vision School, King David Primary School, and as a volunteer with Compassion Aided Project in Mityana. Hilda also worked for Asante Ministries as a teacher and chaperone. 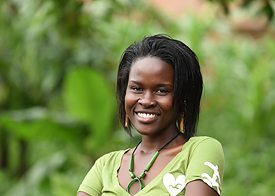 Hilda holds a Diploma in Education from Kyambogo University in Uganda. In her spare time, she enjoys singing and writing songs, watching movies, reading stories, and playing with kids. In 2017, Geoffrey Sozi joined BOHAM as a Sponsorship Coordinator and Children’s Choir Chaperone. Geoffrey bring years of experience of working with children of all backgrounds. Prior to BOHAM, he worked with Abaana Ministries, an NGO that works with street children in Uganda and with African Children’s Choir as a choir chaperone on tour in the US. Geoffrey was raised and educated by the African children’s Choir after losing both of my parents as a young boy. Growing up in the similar circumstances, Geoffrey has always loved working with children in need. 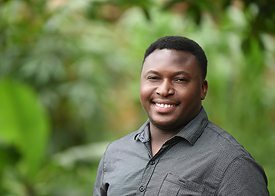 Geoffrey holds a Degree in Business Administration from Makerere University. In his spare time, he loves watching soccer, playing soccer, and listening to music. In 2017, Dorothy Kazimoto joined BOHAM as its Marketing and Database Specialist. Dorothy brings years of experience in marketing, photography, and working with children to BOHAM. Her passion and love for children grew when she started teaching Sunday School at Full Gospel Church, Makerere at age 16. Dorothy also volunteered with Watoto Church and Child Care Ministries, and worked with Asante Ministries. She holds a degree in Industrial and Fine Art from Makerere University. In her spare time, she enjoys dancing, listening to music and spending time with her family. Marci Lane joined BOHAM in 2015 as its Vice Chair and took over as Chair in September 2017. She spent 9 years as an Executive Coordinator and Board Liaison at OCHIN, a large health care IT nonprofit. 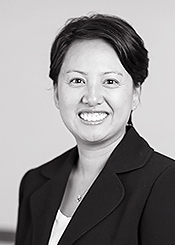 Marci brings years of governance experience in board management, as well as marketing and legal acumen, to BOHAM. Prior to OCHIN, she worked for Roberts Partners supporting an international team researching a government report in Indonesia. She also worked in television with United Paramount Network (UPN) on contracts and network distribution. She also previously volunteered as a Photographer and Events Assistant for the Architectural Heritage Center, as a Photographer and Volunteer Logistics Coordinator for United Cerebral Palsy – Wheels for Humanity, and as a Teaching Assistant for the Jakarta International School. Marci holds a B.A. in History from California State University, Long Beach and has a Licensed Certificate in Governance Training from the Society for Corporate Governance. In her spare time, Marci loves to write, hike, and spend time with her 3 children and 5 grandchildren. In 2015, Jake Cheek joined BOHAM as one its Board of Directors. 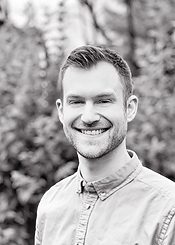 Jake is a Digital Strategist at eROI, a digital marketing agency in Portland, OR. Jake brings experience in customer relations and intercultural communications to BOHAM. Jake spent his college years providing immigration support and customer service to international students, scholars, and faculty at Washington State University. Jake holds a B.A. in International and Intercultural Communication from Washington State University. In his spare time, Jake loves to adventure outdoors in the Pacific Northwest. In 2015, Dave Sholer joined BOHAM as its Board Treasurer. 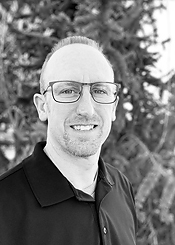 Dave is the principal Certified Public Accountant at Integrated Accounting Solutions, a boutique tax and accounting firm exclusively servicing dental professionals. 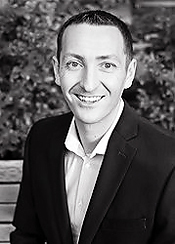 Dave previously spent three years as a Senior Accountant at Carbahal & Company, a public accounting firm. Prior to that, he spent nine years in biotechnology at Genentech in both production and corporate finance roles. He holds an MBA from Cal State Sacramento, a B.S. in Genetics from UC Davis, and is a licensed CPA by the State of California. In his spare time, he enjoys hiking the Pacific Crest Trail, watching ice hockey, and traveling with his wife Kelli and son Niko. In 2015, Katie Walter joined BOHAM’s board and acted as its Board Chair until September 2017. Katie brings years of nonprofit experience to BOHAM as well as a passion for supporting children and communities in need. 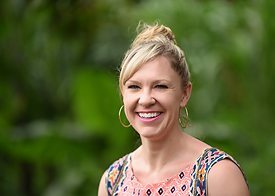 Prior to BOHAM, she served at-risk communities in Uganda, Rwanda, Burundi, and New York City through Asante Ministries and Hope for New York respectively. She also worked as a consultant on gender-based violence issues for UNICEF, the Ministry of Gender & Development, Government of Liberia, and the Kofi Annan Institute of Conflict Transformation, University of Liberia. Katie holds a M.S. in Global Affairs from New York University, a M.S. in Marketing Management from Ecole des Hautes Etudes Commercials du Nord Business School, and a B.A. in Business & Economics and Communication Studies from Westmont College. In her spare time, she enjoys traveling, dancing, and reading the New York Times. 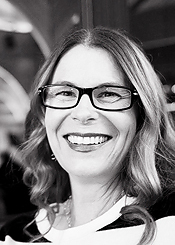 In 2015, Amy Waddington joined BOHAM as one its Board of Directors. 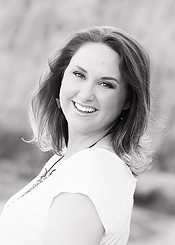 Amy is a professional photographer and owner of Amy Waddington Photography. 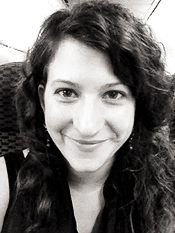 Amy brings extensive experience in business, visual arts, and working with children and families to BOHAM. In college, she studied child development and went on to work in the local public school system coordinating its enrichment programs. She also has spent years advocating for child education and community development in East Africa as well as making several mission trips there. She has a heart for ministry and is excited to use her gifts to represent BOHAM. In her spare time, Amy loves to relax at the lake with her husband Mark, three children, and their two yellow labs. In 2016, Aimee Parmley joined BOHAM as one its Board of Directors. Aimee is an attorney with Hawkins Law, PLLC, specializing in business transactions, real estate, estate planning and commercial litigation. Aimee previously spent three years as commercial litigation and transactional associate at DLA Piper LLP (US). At DLA Piper, Aimee defended companies in business tort, product liability, environmental, unfair competition class actions, trademark infringement and privacy matters. Her business transactional experience includes advising and assisting companies with business formation, mergers and acquisitions, and cross-border transactions. Aimee is committed to community service and received the State Bar of California Wiley Manuel Award for pro bono legal services in 2012. She holds a J.D. from the University of California, Hastings College of the Law, a M.Ed. from UCLA, and a B.A. from Biola University. In her spare time, she enjoys spending time with her husband and son, cooking, and traveling. In 2015, Jolene Bosché joined BOHAM as one of its Board of Directors. Jolene works as a Professional Services Manager at AssetWorks LLC, an Information Technology and Services company serving the fleet industry. Jolene brings extensive experience in software project mangement, implementation, client engagement, account management, and systems training to BOHAM. Prior to AssetWorks, Jolene worked for Active Data, Technet, and P&R Publishing. Jolene holds an M.I.M. in International Management from Whitworth University, a certificate in Marketing Management from Ecole des Hautes Etudes Commercials du Nord Business School, and a B.S. in Marketing from Messiah College. In her spare time, Jolene enjoys cooking, reading, gardening and volunteering for Pilots N Paws while flying with her husband Giffin. In 2017, Todd Putren joined BOHAM as one of its Board of Directors. Todd is a registered nurse by profession and has been in executive hospital leadership for the last 18 years. As the Executive Director of Critical Care and Emergency Services for Kootenai Health, he managed 250 employees. Todd has his graduate degree as a Nurse Executive. He recently went back to bedside nursing in the Emergency Department in order to spend more time with his family. He has a deep desire to serve the underserved and come alongside children and families in need. 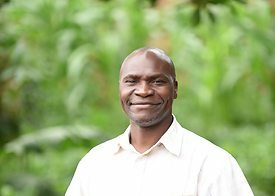 In 2017, Todd had a knee infection that gave him needed time away from work and during that time, God gave him a clear message that joining BOHAM would be a great way to serve children in need in Uganda. In 2014, Todd and his wife Kim were able to go on a trip to Rwanda and Uganda, which cemented his desire to serve. In his spare time, Todd loves to hang out with his wife and four children, mountain bike, and swim.